This book is rather similar to another book I reviewed, 絵師100人 (100 masters of Bishojo painting). Both are on Bishojo paintings. Over 80 artists are featured, about 5-7 pieces of illustrations for each artist. All artists come with contact, website and some quotes on their work. The variety is great and the quality seems pretty good as well. Expect lots of colours and interesting costume designs. I'm not sure if the characters drawn are from any prominent manga or anime series as I can't recognize any of them. In addition to the art, there are also three case studies on how this form of art is used for promoting youth employment, railway lines and rural areas. There are English and Japanese text. 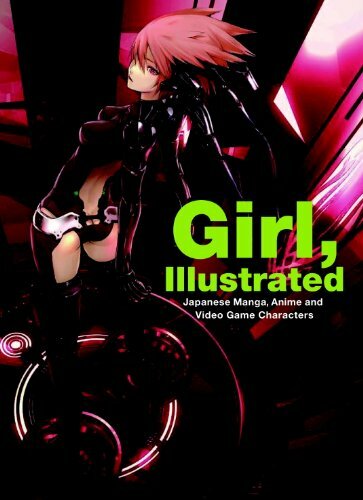 Nice book to check out if you're into Bishojo art. Nice! Another one for me to save up and look out for. You're the bestest Parka! This book is actually already selling on Amazon Japan. But it should be cheaper when it's available elsewhere. Is there an art book like this but dedicated to the men? Its available here in singapore for quite some time. Picked this book up at my school's book sale for $20 today.. It's got a great variety of bishoujo illustrations... particularly in the pages in the back... Would have liked to see huke's work, but oh well.